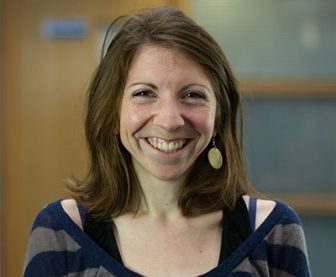 Dr Sarah Bell is a Lecturer whose research focuses on the complex intersections between human health, wellbeing and the interlinked physical, social and cultural environments encountered through the life course. Sarah’s work is underpinned by a passion for qualitative methodological development, designing sensitive approaches that promote critical awareness of alternative ways of embodying, experiencing and interpreting diverse everyday geographies. Sarah joined the European Centre in January 2012, where she developed a novel geo-narrative research approach to understand and situate people’s ‘green’ and ‘blue’ space encounters in the context of their everyday and whole lives. This combined GPS and accelerometer data with in-depth narrative and mobile go along interviews to explore the dynamic ways in which people seek out and experience such settings to foster a sense of health and wellbeing (or otherwise) over time. During the PhD, Sarah developed a particular interest in the varied ways in which people come to embody such nature-based settings with the onset and progression of sensory impairment. She was able to explore this further in a post-doctoral project, using in-depth narrative interviews to examine the mental health impacts of life with Ménière’s disease; a long-term progressive vestibular disorder, defined by episodes of severe and debilitating vertigo, aural fullness, tinnitus and sensorineural hearing loss. This work reiterated the importance of designing qualitative research methods that are carefully tailored to people’s everyday lives and sensory abilities. Building on this, Sarah has successfully applied for funding through the Economic and Social Research Council’s Future Research Leaders scheme to explore the role of diverse nature-based settings in the sensory, affective and emotional geographies of visual impairment through the life course (including individuals born with and those acquiring visual impairments later in life). In examining these aspects of experience, and establishing a collaborative stakeholder network (e.g. with landscape architects, planners, land-owning and recreational organisations, and visual impairment support and advocacy groups), it is hoped this research will promote more socially inclusive opportunities for both pleasurable immersion and adventure across a range of nature-based settings. In this business-research collaboration, the project team have developed a mobile app to investigate factors that influence the severity of the symptoms of Ménière’s Disease.